On Saturday 11 March, we held a day long forum for members, family and health care professionals. There were presentations on treatments, nutrition and exercise, navigating difficult conversations with your kids and finding peace and resilience amidst the turmoil. For many members, the Advanced Breast Cancer Forum is not only an opportunity to learn from knowledgeable speakers, but also to connect with people who can completely understand their situation. There is something very powerful about having so many of our members in the same room and this was reflected in the questions they asked and the advice they received from speakers and other members. 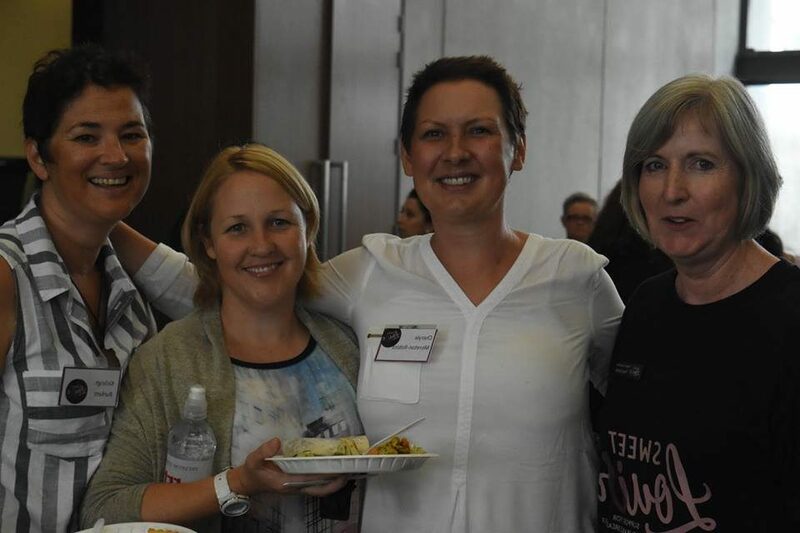 Sue attended the 2015 Sweet Louise forum and came away with a whole new outlook on how to live with incurable breast cancer. “I went to the forum soon after I had been diagnosed with secondary breast cancer. Before the event I was living like I only had months left, like there wasn’t much hope and that my situation was hopeless. This year, Sue attended the forum again. A huge thank you to our speakers, members and their families, our trustees and all those who made the event possible. To see the presentation slides click here.